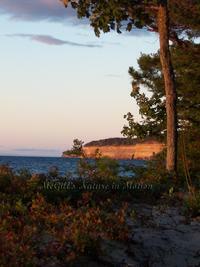 Our mission is to promote the Natural & Historical treasures of Michigan. 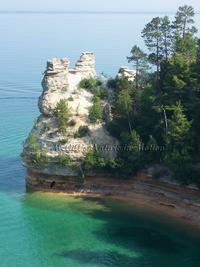 The best way to first view the Pictured Rocks National Lakeshore is by taking the boat cruise. But you must then explore them up close & personal. 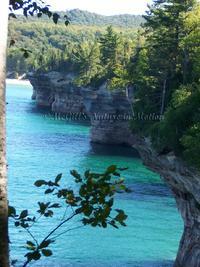 The Chapel Loop ten mile hike is the most inclusive day trip that takes you by waterfalls, Lake Superior & its sandy beaches, magnificent cliff formations with spectacular colors to rival any place else in the country. 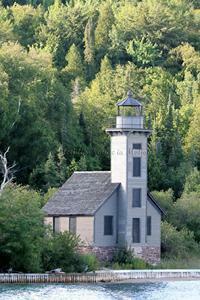 Before hiking please stop in at the Headquarters in Munising to get trail information. The Lake Superior waters can be as beautiful as the Caribbean Sea or as menacing as the Bering Sea (well, almost). But it is this ever changing mood that keeps one coming back for more. 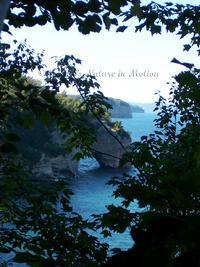 Deep seeded primeval feeling surface when witnessing its deadly November gales. You can feel the presence of the ghosts of the brave men and women who have sailed these seas or vowed to protect those who did -Life Savings Stations servicemen & Lighthouse keepers. They braved the elements to insure the safety of strangers and endured many a long lonely night. We take for granted the modern conveniences that were denied those earlier guards of the sea. Electricity-telephones- food/heat sources limited by the severity of Mother Nature. 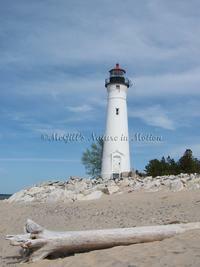 We are surrounded by these beautiful history filled monuments to man�s kindness to man-the Lighthouses of Michigan. We don�t realize just what a privilege it is to be able to step back in time to catch a glimpse of what life was like for those brave souls. We owe a debt of gratitude to those caring individuals who pushed beyond the bureaucratic red tape. 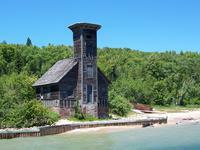 Who snatched back in the nick of time wonderful pieces of Michigan heritage. 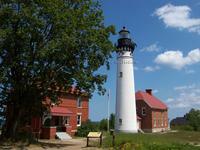 In memory of Don & Nellie Ross for establishing the Crisp Point Light Historical Society. Here are photos of just a few of those iconic treasures that we have had the privilege to access. 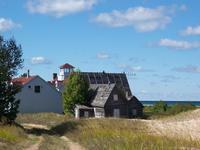 So next time you get the urge to explore� think about starting right here in your own backyard- Michigan! !